g) BRIEF DESCRIPTION: The Royal Pavilion is open to the public every day except Christmas Day and Boxing Day, and attracts about 300,000 visitors annually during the current restorations. Overlooking the eastern lawn are the music-room, the north (originally yellow) drawing-room, the saloon, the south (originally green) drawing-room, the banqueting-room, and the great kitchen in Palace Place. On the western side are the corridor (the long or Chinese gallery), the King’s apartments, and the entrance hall. The first floor contains a tea-room and many smaller rooms, mostly bedrooms, which are currently being reopened to the public. Although the Royal Pavilion is now admired for its extraordinary architecture, it has not always been so and many commentators considered the building to be a gross example of bad taste. 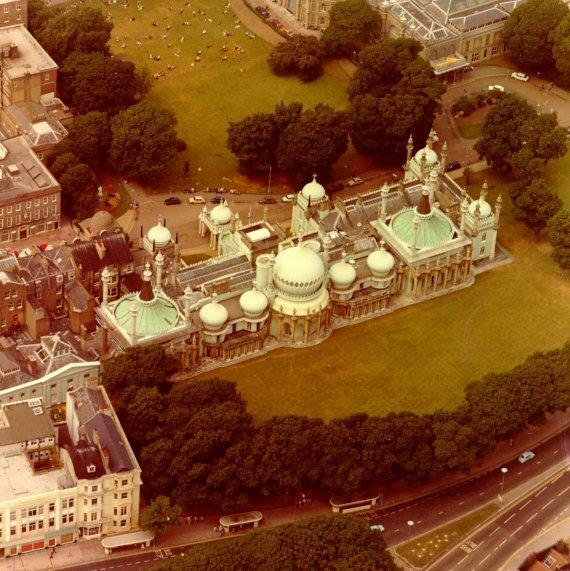 Perhaps the most famous comment was that of Sydney Smith who declared that ‘the dome of St Paul’s must have come down to Brighton and pupped’ . It was not until the book Brighton by Sir Osbert Sitwell and Margaret Barton was published in 1935 that the design was generally looked at more favourably. A model of the building may be found in Brighton Museum.